Died: 14 August 1940. Shot down over the Channel off Dover, Kent. Cecil Robert Montgomery was born in Lisnaskea, County Fermanagh in Northern Ireland early in 1940. His father was John Montgomery and his mother May Eleanor Montgomery, nee Betty. His mother is believed to have died in 1931 and his father in 1946. In June 1939 Cecil joined the RAF on a short service commission and began his ab initio course as a pupil pilot on the 12th of that month at 22 Elementary and Reserve Flying Training School in Cambridge. He was promoted to the rank of acting pilot officer on 5 August 1939 and on the 21st moved to 2 Flying Training School at Brize Norton, Oxfordshire from 21 August 1939. He completed his course on 17 February 1940. On the 24th of the same month he was confirmed and graded as a pilot officer (Gazetted on 26 March 1940.). 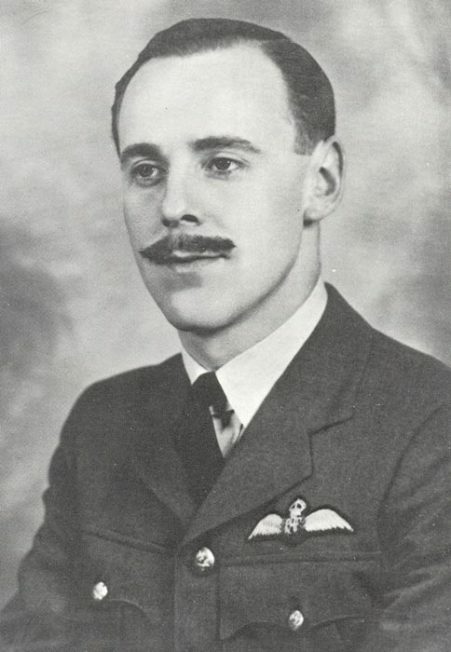 He was sent to the Group Pool at Aston Down in Gloucestershire and subsequently took a conversion course onto Hurricanes. He was then posted to 615 Squadron in France on 14 May 1940. Cecil’s stay in France was short and on 21 May 1940 the Squadron was back in England and based at Kenley. On 14 August 1940, 615 Squadron flew down to RAF Hawkinge on the Kent coast. 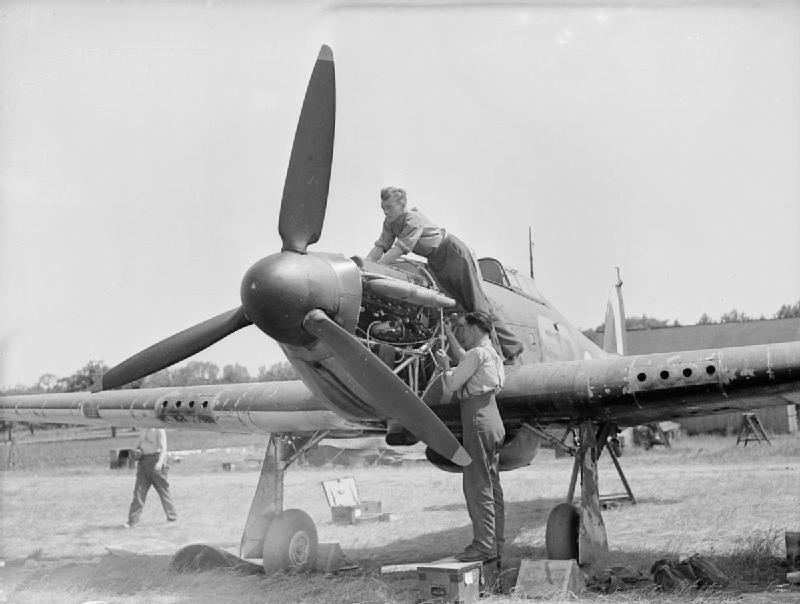 Just before midday, 12 Hurricanes of the Squadron were ordered to intercept a raid over Dover. Peter Collard was leading Pilot Officer Montgomery and Pilot Officer Madle in Red Section and no one witnessed what happened to either Collard or Montgomery, both of whom crashed into the sea and were killed. S. J. Madle was the only survivor of the three, having detached to fly below the clouds due to an oxygen failure. 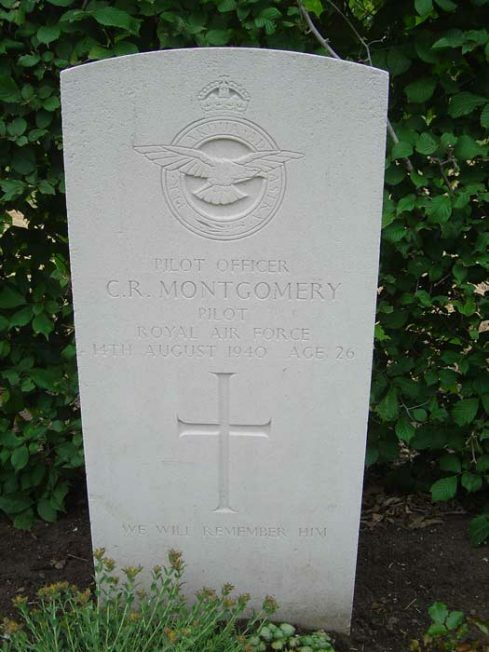 Whether or not Cecil Montgomery bailed out of his Hurricane P3160 is not known but his body was washed ashore in France and he is buried in Oye-Plage Communal Cemetery, Row 1 Grave 19. He was 26. Peter Collard is buried in the same cemetery. 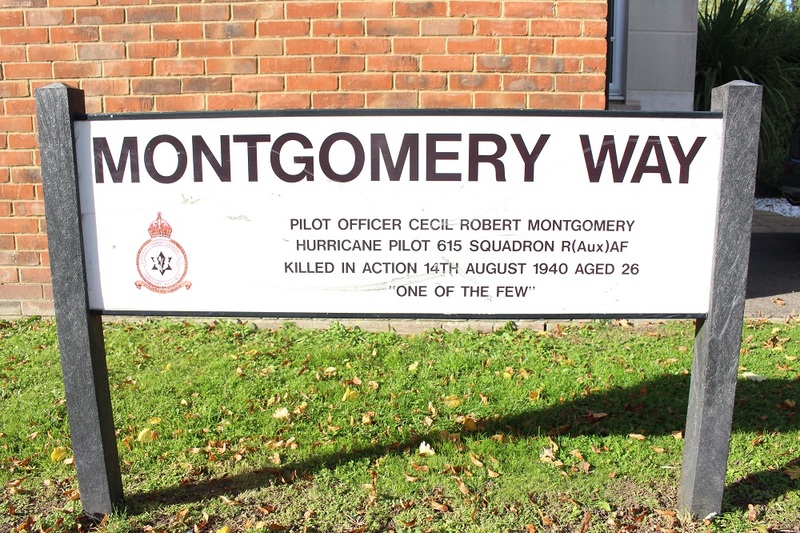 Montgomery, Cecil Robert, of Tullykenneye, County Fermanagh pilot officer RAF. Died 14 August 1940 in action. Administration Belfast 6 May to John Montgomery, farmer. Effects £408.